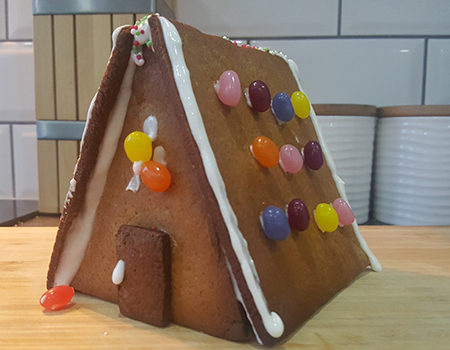 We put four different build-your-own gingerbread house kits to the test. Here's how they fared. 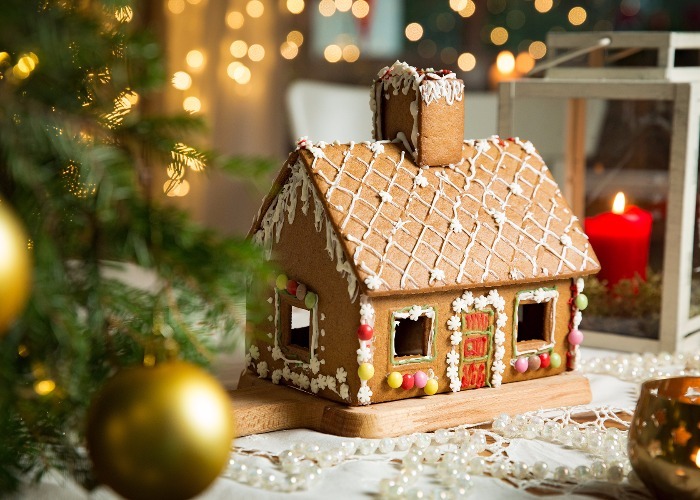 As the Brothers Grimm fairytale about Hansel and Gretel gained popularity in the early 1800s so did the idea of building gingerbread houses. The German tradition was then brought to America by German immigrants at the end of the 19th century and has become a significant part of Christmas celebrations ever since. 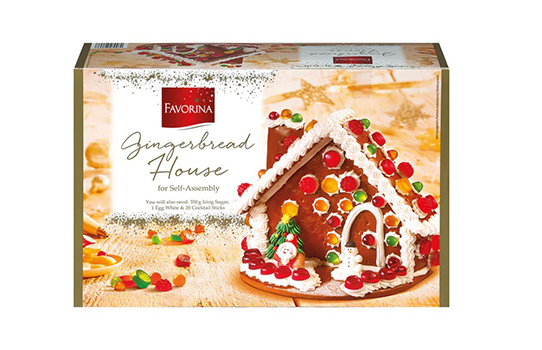 If you're not confident at building a gingerbread house from scratch, there are several do-it-yourself kits available. 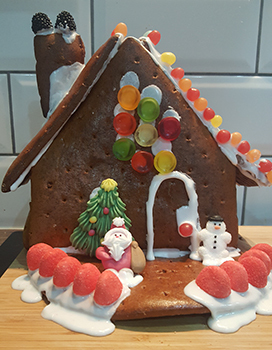 We sent our Editorial Assistant Karlina Valeiko on a mission to test out four different supermarket gingerbread house kits from bake to build. What's in the kit? Dry gingerbread mix, golden syrup, ready-made icing in a piping bag, chocolate buttons, white chocolate for melting, a backdrop and stencils for the shapes needed to build the house. You just need to add butter. What's great about it? The gingerbread dough took minutes to make – all I had to do was combine the dry gingerbread mix with golden syrup and melted butter. The house itself was easy to put together as the gingerbread kept its shape well while baking. I liked the idea of using chocolate coins to decorate, as they're not too heavy for the icing to hold. There's enough dough to cut out the shapes for the house with just scraps are left over. What could be improved? The dough was quite soft and sticky when I rolled it the first time so I had to use quite a lot of flour for dusting and be very gentle with my rolling pin. The instructions suggest baking the gingerbread for 10 minutes, however, I found that my gingerbread was too soft. I left it in the oven for an extra minute, and hoped it would harden up once cooled, but it was still quite soft after a few hours. What does it taste like? The flavour of the gingerbread was really nice and not overpoweringly peppery. It stayed crunchy on the outside and soft in the middle for a couple of days. 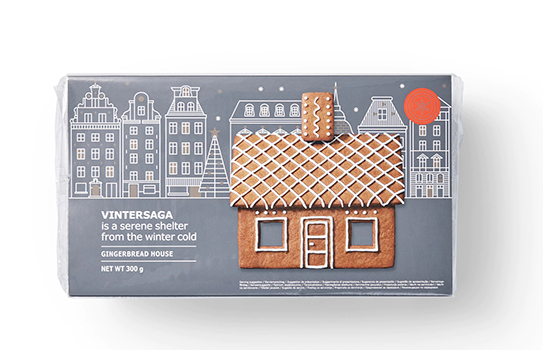 If the dough was rolled thinner, the gingerbread would taste like Scandinavian ginger thins. Final verdict: The gingerbread is delicious and you don't need to spend a lot of money on additional decorations or ingredients. I wouldn't use the icing provided as it's soft and melts too quickly; you'd be better off making royal icing yourself as it hardens a lot faster. What's in the kit? Pre-baked gingerbread shapes, jelly sweets and Christmas tree, Santa Claus and snowman figurines made from icing. You need to make your own icing to stick the house together and add decorations. What's great about it? The gingerbread was ready-made and there were plenty of decorations to let your creativity loose. The figurines are adorable and turned out to be my favourite part of the kit. 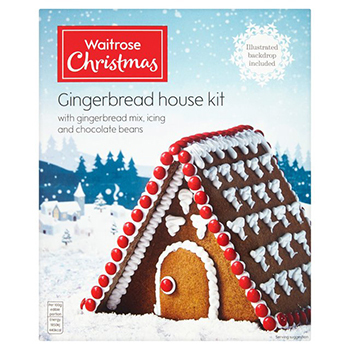 The idea of having a gingerbread base to build the house on is also really smart. What could be improved? All the gingerbread shapes in my kit were bent and I couldn't straighten them, even after warming them in the oven. Some of the decorations were on the heavy side, and as my kitchen was quite warm the icing kept melting. This was the only house that didn't hold its shape and fell over just after I had finished taking photos. What does it taste like? The gingerbread was quite thick and had a biscuit-like texture: hard on the outside yet soft and sticky on the inside. Although it didn't really taste of gingerbread, it was still pleasant to eat. Final verdict: I loved the inclusion of a base and several different decorations, but the bent pre-baked shapes meant the structure didn't stay together. What's in the kit? 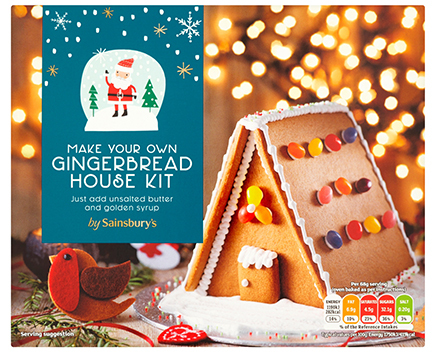 A dry gingerbread mix, ready-made icing in a piping bag, jelly beans, sprinkles and stencils for the shapes you'll need to bake. You'll have to add butter and golden syrup. What's great about it? It was easy to put together and the design wasn't overcomplicated. 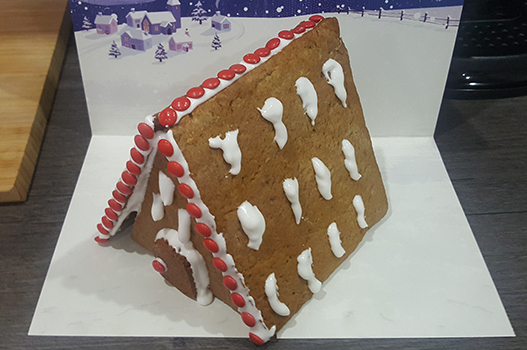 The gingerbread mix was easy to make and, after the house shapes were cut out, there was still enough dough to make 15–20 individual gingerbread cookies. Once baked, the gingerbread came out firm, held its shape perfectly and filled my kitchen with the most amazing gingerbread aroma. What could be improved? The dough was crumbly and after it was rolled out once, it was quite hard to gather back together and roll again without breaking. While I baked the gingerbread for 13 minutes, following the instructions, corners of the larger pieces got a little burnt. The icing bag was handy and easy to use, although the icing melted too easily and wasn't strong enough to hold the jelly beans in place. What does it taste like? The gingerbread itself had a lovely texture and a satisfying crunch. Even though some parts were slightly burned, it still tasted delicious. Final verdict: A really simple and easy-to-use kit. As with the Waitrose kit, I'd suggest swapping the icing provided for royal icing. What's in the kit? Pre-baked shapes for the house. You'll have to make your own icing, ideally royal icing, for which you'll need egg whites, lemon juice and icing sugar. What's great about it? The instructions were very straightforward and it was immediately clear how the house has to be put together. 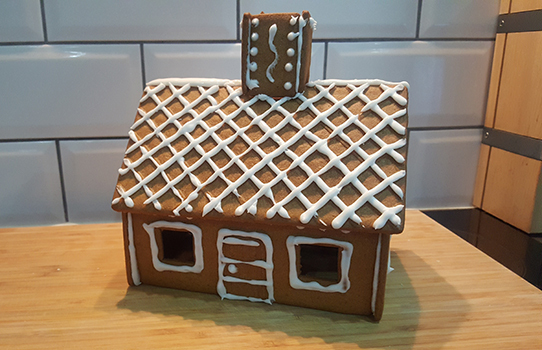 The pre-baked gingerbread has handy imprints along the roof and on the outside of the windows and doors, showing you were to pipe. If I had a smaller nozzle for my piping bag, it would've turned out perfectly. What could be improved? As is usually the case with IKEA, the design is very minimalistic. You might want to add some extra decorations or different food colourings to your icing for a more flamboyant look. What does it taste like? The gingerbread had a lovely flavour and a great texture with the right 'snap' when broken in two. I could easily taste the sharpness and pepperiness of the ginger as well as the warming sweetness of the golden syrup. Final verdict: Perfect if you want a fuss-free gingerbread house (although there's nothing fuss-free about icing). Make it even more festive by placing a lit tealight inside.